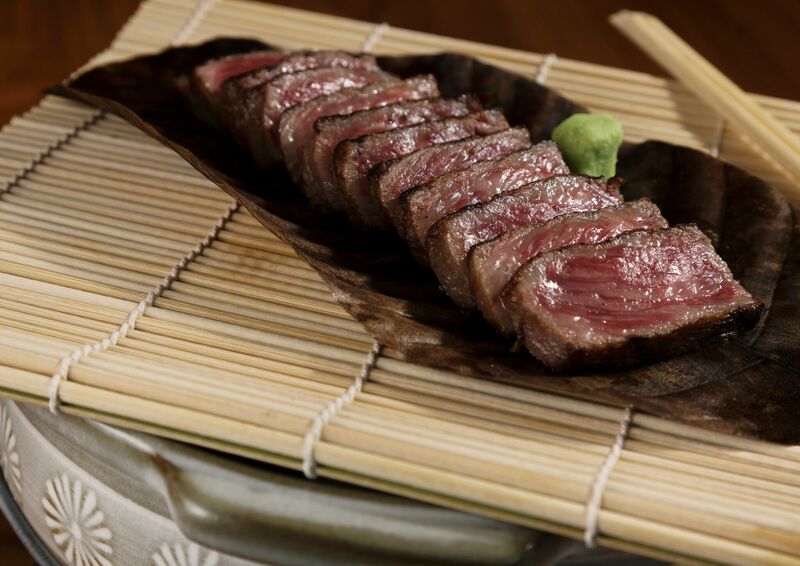 Japanese steak house Roka Akor marks Steak Month with two Wagyu steak flights. Photo courtesy Roka Akor. In this extra-beefy edition, there’s a steak night for every budget: inexpensive and super-casual, a prime rib night and an opportunity to indulge in “flights” of high-end Wagyu. In addition, a longtime Houston restaurant finally opened a location inside the Loop and a Washington Avenue spot is marking an anniversary with specials. Finally, a celebration of Basque cider offers an opportunity to wield a unique vessel called a porrón. One thing is certain, those who love eating and drinking have a lot to get excited about this week. Blue Nile, 3030 Audley: The popular Ethiopian restaurant opened an Inner Loop location on January 13. The Houston Chronicle reports it will serve the same beloved dishes as the original location on Richmond Avenue, including the doro wat (chicken stew) and samosas. Look for a weekend brunch as well. Velvet Taco, 907 Montrose: The Washington Avenue favorite is expanding its reach. According to Velvet Taco’s Facebook page, the Montrose location is set to open soon. Roka Akor, 2929 Weslayan: January is National Meat Month and the Upper Kirby newcomer is marking the occasion with two options for diners that feature Wagyu. 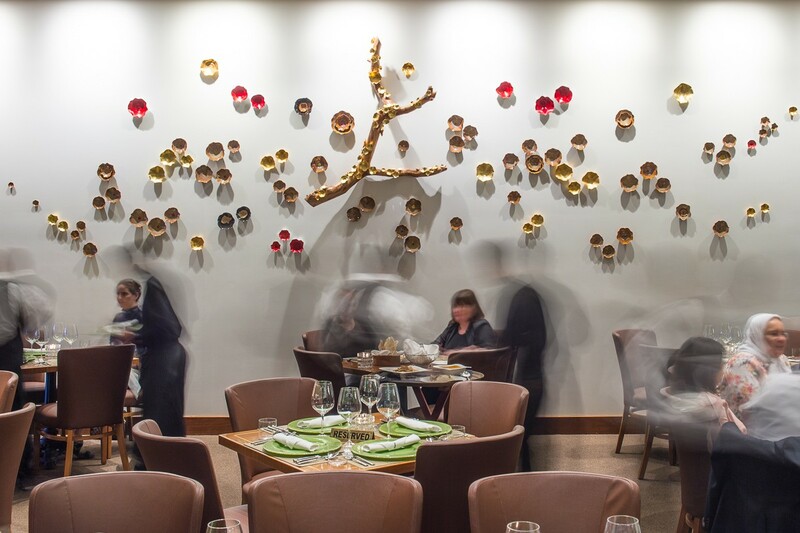 Now through January 31st, they can indulge in Roka’s two high-end beef flights. The Japanese Wagyu Flight is $350 per person, and includes tastes of the certified Kobe, Miyazaki and Kumamoto Prefecture steaks. The Snake River Farms Wagyu Flight is $88 per person and showcases a six-ounce filet, four-ounce sirloin, and four-ounce Zabuton (a chuck portion also known as a Denver steak). There is also the option of a 28-day, dry-aged, 26-ounce ribeye for $95. 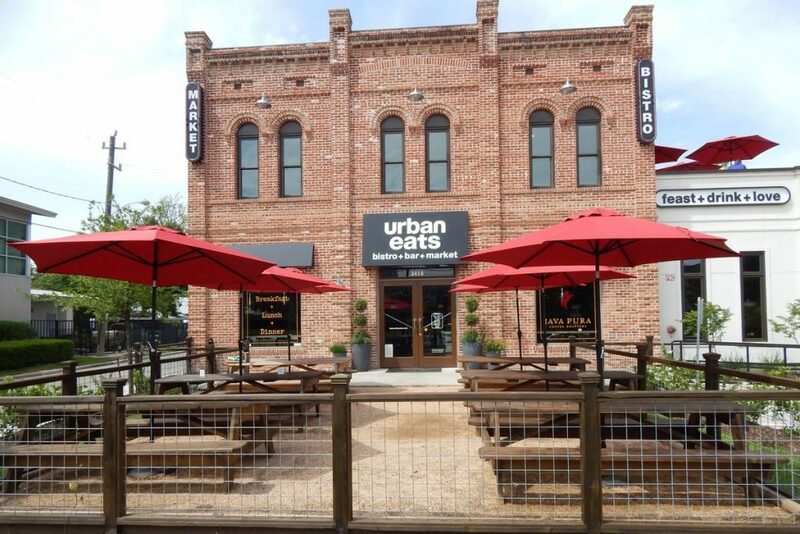 Urban Eats celebrates its third anniversary with food and drink specials this week. Photo courtesy Urban Eats. Urban Eats, 3414 Washington: The restaurant celebrates its third anniversary all week long. Through January 19, owner Levi Rollins is offering half-price cocktails as well as $4 well drinks, house wines and draft beers. Signature dishes will also be available at special prices. Brasserie du Parc, 1440 Lamar: The popular downtown French restaurant has launched a new dining deal. Any night the Houston Rockets are playing a home game, diners can select any of the location’s popular burgers, served with beer or a glass of house wine for $10, not including tax and gratuity. Ouisie’s Table, 3939 San Felipe: Continuing indefinitely, Tuesday and Wednesdays are Prime Rib Nights at the River Oaks restaurant. Diners can get a cooked-to-order, 12-ounce cut of prime rib and a baked potato for $25, plus tax and gratuity. Beaver’s, 6025 Westheimer: The weekly Steak Night at this Galleria hangout means guests can have a grilled-to-order. 14-ounce ribeye from 44 Farms and a salad for $25. No reservations are necessary. The deal is available from 6 to 10 p.m. Celebrate Burns Night with a Scotch dinner at Kiran’s. Photo by Chuck Cook Photography. Kiran’s, 2925 Richmond: Save the date for the Indian restaurant’s annual Scotch dinner, featuring selections from distiller Robert Burns. Menus and further details are still being finalized, but those interested should watch Kiran’s upcoming events page for information on registration and selections. Camarata at Paulie’s, 1834 Westheimer: Whole Hoggin’ with Feges BBQ and Isastegi brings together barbeque, Spanish cider and the second annual porrón-pouring competition. (A porrón is a jug-like vessel with a thin spout designed to aim wine right into the mouth from some distance away.) Barbecue plates with cuts of whole hog, yogurt slaw, loaded baked potato salad and winter root vegetable succotash are available for $20 per plate. The Mari family, producers of Isastegi, the legendary cider from Spain’s Basque region, will be there on their first visit to the U.S. Cider and ‘cue will be available beginning at 4 p.m. The porrón pouring competition starts at 6:30 and contestants will be judged based on the creativity and execution of their pours. To register for the competition, send an email to Chris Poldian at Camerata.